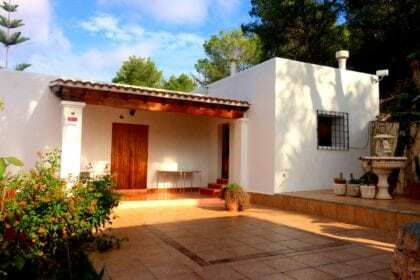 Ibiza Villas to Rent - Summer 2019. 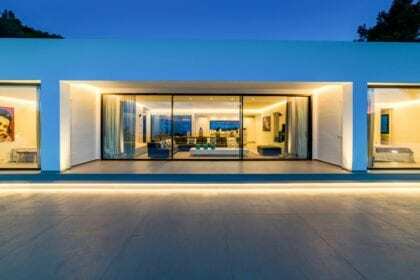 Best value villas in Ibiza! 25 to 30 May for 5 nights for just £2000! 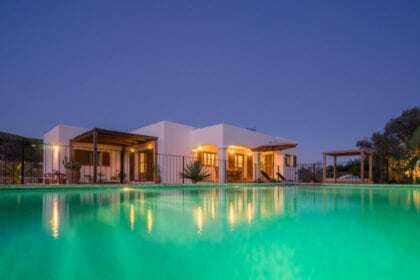 Looking to rent the best value Ibiza villas? You’re in the right place. On these pages, you’ll find a gorgeous range of villas to rent in the most popular locations on the white isle. 16-years established with an on-island office and local staff, all our rental properties are fully registered and legal so you can go ahead and book with confidence. We have villas in great locations in & around Playa d’en Bossa, Ibiza Town, San Antonio and more. 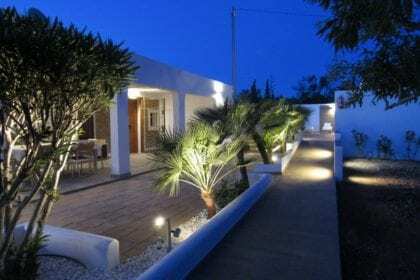 Last minute deals, weekend holidays and short breaks a speciality – ask for a quick quote now to rent a villa in Ibiza at the very best price. Book a great value Ibiza holiday with us! You’ll save a heap of cash. Our down to earth prices offer you the best value Ibiza villas around. If you rent your holiday villa with us, you can relax and know your booking is safe and secure. We’ve organised thousands of villa holidays in Ibiza over 16 years. Members of APNEEF, we’re a fully registered, legal and insured family business. You won’t have to worry about any currency exchange fluctuations affecting the price of our rental villas. Prices are set in both Euros and Sterling. Your price of your stay will not change, even if the world around you does. You’ll get fantastic customer service, from your initial enquiry until the end of your holiday for help, advice and to answer any questions you may have. You won’t have to pay a huge deposit on our rental villas when you arrive - instead, we organise accidental damage insurance for just a few euros so you don’t have to worry about a thing. To make sure you can simply relax and have the time of your life, we can organise airport transfers, taxis, private chefs, club tickets, pre-arrival shopping, boat hire & more. We’re here to help make your holiday in Ibiza the very best that it can be. Easy to book and kept in regular contact to arrange additional services such as early check-in and late check-out. Villa was a little dated but exactly what we need for a large group! Great pool area and plenty of living space. Thanks for a great experience. We rented a villa from this company-cant recommend them highly enough. The pre -holiday service was great as was the service once in Ibiza. The Villa was fantastic and met all our needs. Will use again without hesitation. Great people to deal with and a great spot. The villa is perfect for a group. There were 9 of us but you could have many more without any bother. The pool is ideal to lounge around with friends getting over a heavy night. Highly recommended all round. Twenty of us stayed at Villa Maria for a stag weekend at the end of May. It was perfect, loads of space inside and out. Beds were comfy and the villa was clean. On the main bus route into town and easy to flag down taxis. Were able to make as much noise as we wanted before heading into San Antonio.Staff at Villa 2000 were really nice and helpful, I'd definitely go back with the lads or with Families. We stayed in Villa Daniel which was more than big enough for the amount of people in our group. The location was great close to all amenities. Ibiza 2000 were great sorting things out for us ie taxi's etc to make our weekend go smoothly. Stayed in Villa Maria and I have to say it was one of the best holiday experiences I've ever had. The views from the villa were spectacular and all of the facilities were second to none. Jacs and the rest of the team at Ibiza Villas 2000 went above and beyond to make sure everything was perfect for us and our holiday went as smoothly as possible. Would definitely use again. The villa is amazing and was perfect for our hen/birthday weekend for 17 people. The villa is secure and has an alarm so don't be scared by previous posts. There is CCTV and if the alarm goes off, they ring the police straight away. Ibizavillas2000 staff are friendly and polite and very helpful. Any issues they will resolve straight away. It is a bit of a walk to the shop but taxis are cheap and you can be in playa den Bossa or San Antonio quickly by both taxi or bus. The villa is clean spacious and perfect for large parties. Definitely recommended. There are fruit trees in the grounds and would be perfect for large family holidays or large parties. Recently stayed at villa tegui- i cannot recomend this place enough, its stunning! Really well equipped, plenty of space in and out, its just amazing! And the girls are fab, really easy check in, key collection etc! All felt really well organised and in hand! Thankyou so much! Very helpful staff, always willing to help me and answer my questions. Villa we rented was great for our group, will be using again. Stayed here for my hen do in May 2018 and well what can I say it was absolutely gorgeous. There were 12 of us there and there was so much room for us, we all loved the villa, the pool and the surroundings. Def recommend getting the shopping and drinks package as it done us for the 3 days. Arrival and departure instructions we great very simple and Jacs and the team were amazing would love to come back with friends or family and will highly recommend and use the company again. Thanks so much again for the best time. Amazing villa and an absolutely outstanding team to deal with. Jax, who I dealt with, was always contactable and was such a joy to meet. I would highly recommend using this company for villas in Ibiza. The villa was just beautiful. 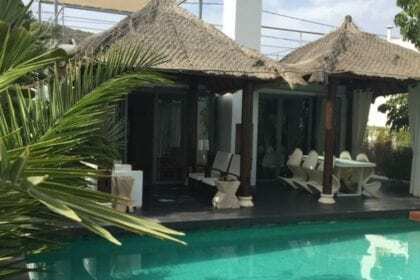 11 of us visited Villa KM2 for my hen do and could not have enjoyed our stay more. Ibiza Villas 2000 arranged for food and drink to be at the villa on our arrival and could not have been more helpful with advising us on travel arrangements and activities to do. The villa was absolutely stunning - especially the pool area. Would recommend 100%! Great outdoor area, fantastic views and pool was beautiful! inside is more traditional, but other areas in the villa are modern. Great size for large groups even though we were a family of six! Brilliant experience from start to finish! The staff were fantastic and exceptionally helpful especially Jacs. The Villa was incredible and i couldn't find a negative thing to say about it. Would highly recommend booking with Ibiza Villas 2000, they won't disappoint! Best villa company that I have ever used!Answered within minuets. If ever we needed anything they were straight there and always checking up on us! Used the company 2 years in a row and so trustworthy! Highly recommend! Also staff memebers were so helpful and made sure we felt safe and knew what we were doing! Strongly recommend this business really helpful, extremely accommodating and a great atmosphere at there rude cafe with foodninja kitchen. 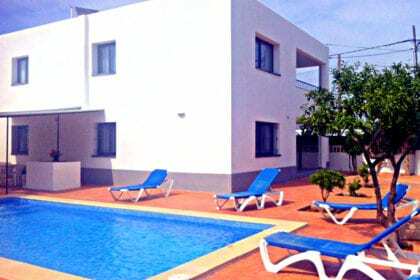 Perfect for those who have a day layover in Ibiza and want to relax, sleep, have a few drinks and play some games games to pass the day until your flight. Or finding somewhere to stay. I cannot thank the Team at Ibiza Villas 2000 enough!! They are all FANTASTIC!!! Despite falling victim to a holiday scam which resulted in me and my family (10 people including 6 children and my elderly mother) with no accommodation 1 week prior to flying out to Ibiza; they were the ONLY ones who genuinely seemed to care and bent over backwards to help us. They arranged for us to stay in 3 different villas over the two week period, at extremely short notice in peak season, and ensured that we all had the most brilliant holiday. The villas were all amazing and the service was top notch. I would definitely recommend this company and I wouldn't hesitate to book through them in the future. Thanks again for everything and for restoring my faith in humanity!! 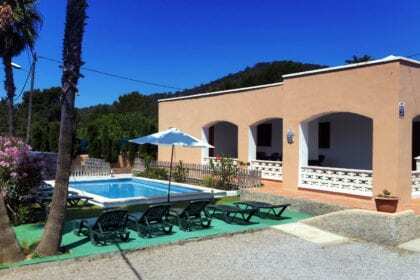 Hi we have just returned (August 2018) from a fab holiday in Ibiza with Ibiza Villas 2000. 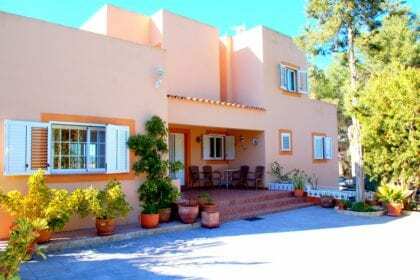 Ibiza Villas 2000 facilitated this holiday for myself and my 4 children along with my sister’s family and my mother at the last minute after we had been the unfortunate victim of fraud. This company not only went the extra mile to put the smiles back on our children’s faces they have, without doubt, restored our faith in humanity so it is my pleasure to forward this review. We stayed at Villa Maria, Villa San Vincente and Villa Nieves and WOW they were all outstanding in every way! I have not seen Villas like this since I lived in Los Angeles. 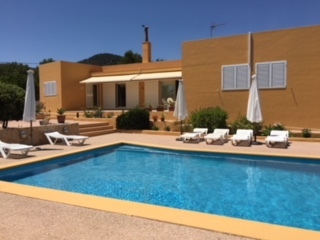 The team from Ibiza Villas 2000 were all wonderfully professional and I would like to express my personal thanks to Jaccs, Ilsa and Gary who went above and beyond to make our holiday thoroughly enjoyable. I can therefore, without reservation, recommend this company and the villas within their portfolio for a fab and memorable holiday in Ibiza 😎Thanks again guys we will be back with you next year for sure ! !Best wishes Steve and family Henley on Thames, Oxfordshire. Absolutely blinding experience with Ibiza Villas and their hospitality on our stag do with 15 people. Couldn't recommend them more. Jacs was fantastic. Thanks!